At BuildingLink, we like to get out there and show people what we're made of. And we also like to meet other people in the industry, and see what they're made of. So we can often be seen at tradeshows, expos, and conferences around the country. 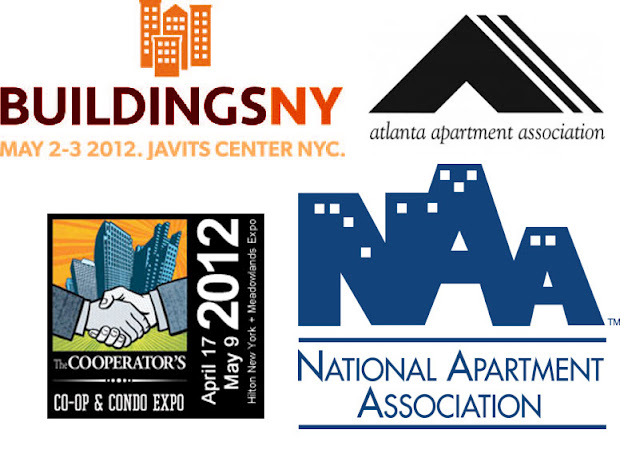 You may have seen us this past year at some old favorites like BuildingsNY, TAA (Texas Apartment Association), NY Coop & Condo Expo, or most recently, AAA (Atlanta Apartment Association). But we also tried out a new conference this year, AIM (Apartment Internet Marketing) in Phoenix, AZ, and we had a great time! AIM was a new experience for us, and it was different from other conferences. Instead of our usual 20 or 10 foot booths, we had our own lounge area, where people could come by and talk with us. Justin Dilley, who attended the conference and is the VP of Sales & Marketing at BuildingLink, agreed to talk with me about the experience. "People were there to learn more than they typically would want to learn in other tradeshows. Normally, it's about getting the word out and handing out some literature, but there, we were able to talk with people in much greater depth," said Justin. BuildingLink was also invited to demo our mobile resident app as part of a presentation by Stanford University Persuasive Technology Lab director Dr. BJ Fogg, who deals with the psychology behind mobile technology. "He thought our resident app was very intutitive and smart, which got us a lot of attention, because people realized we did a whole lot more than package tracking," said Justin. Among the thirty vendors at the conference were companies that create payment portals, leasing software, video tours, and other internet products aimed at attracting renters to new properties. "It was a lot of marketing people, as well as the standard types of companies that target rental properties," said Justin, "It was nice to be there because BuildingLink is really becoming an expected part of that niche--it's becoming a name that people recognize." If we didn't see you at AIM, we hope to see you at the NAA (National Apartment Association) conference in Boston, MA, where we'll be exhibiting June 28th-30th. This is a very large show with hundreds of vendors, and it's our 4th year attending. However, we're particularly excited about this year because we don't have to travel to the West Coast (where it's usually held) to get there! Boston is also great for us because, per capita, we have so many buildings using us there. If you're a BuildingLink Boston customer, we hope you'll come over and say hi! So what does this mean for BuildingLink? Well, besides wishing we had all attended colleges in this new era of pillow-top beds and memory foam mattresses, we recognize that our platform could be utilized to help these new luxury buildings run as smoothly as possible. 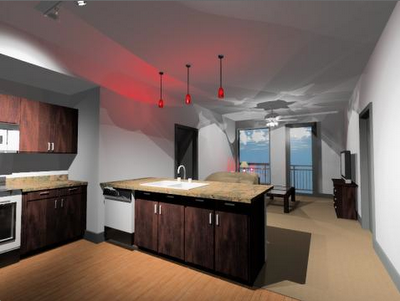 With increased amenities and a luxury atmosphere, these properties will likely function in much the same way as luxury rental buildings; they will need to track maintenance, amenity reservations, even deliveries (if there are front desk operations). And that’s where we come in. Our reservations module would allow students to enter reservation requests from their own computers/phones, and be easily approved or declined. When Busy Student X was slowed down by a faulty light bulb, he/she would quickly enter an online maintenance request—which would go directly to the right person. And when Frazzled Staff Member Y completed that request, he/she wouldn’t have to worry about notifying that busy student—because BuildingLink would have already sent out an automatic email notification! Deliveries would be a breeze with our Event Log, which tracks packages and other items coming into the building, again with the automatic notifications! And if there happened to be an emergency on campus, or in the building, our Emergency Broadcast System could be used to get the word out quickly and effectively. Students can be demanding. 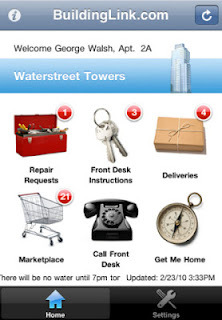 And BuildingLink is ready to help property managers meet those demands. Now about those pillow-top beds—maybe it’s time for some more schoolin’! At BuildingLink, we are all about security and accountability, and our customers use our software to help them achieve those very things! Recently, we've made several changes to even further enhance internal security, specifically with regards to password privacy and logins. 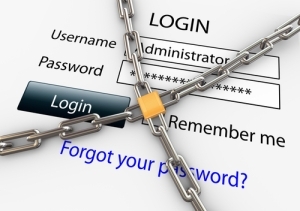 Going forward, users or managers will never be able to retrieve or otherwise view any password, including their own, once that password has been changed from the original system-generated password. This means that when a user fills out the "Forgot Password" page, they will now be emailed a link that they can click on (for up to 24 hours) to reset their password to a new value. Their old password value will not be emailed to them, ever. With this change, BuildingLink is following best practices for protecting Password Privacy, while still preserving management's ability to assist users who need to be given login/password info for their account, and still preserving residents' ability to self-recover from a forgotten-password situation.